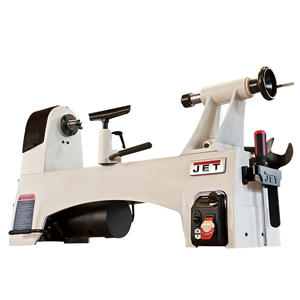 The Jet 1221VS is Different from anything Jet has made before. In truth, It's different than anything that anybody has ever made before. 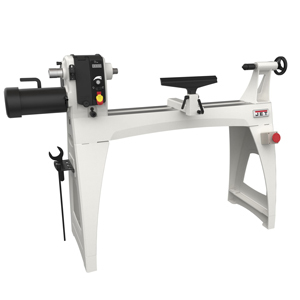 The design is better, The features are better, The entire turning experience is better. And it's all focused on one concept... Control. 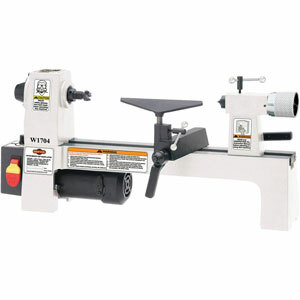 Swing Over Bed: 18-1/2 "
Swing Over Tool Rest Base: 14-1/4 "
Swing Over Tool Rest Base: 15-3/4"
Recommended Circuit Size: 20 Amps. 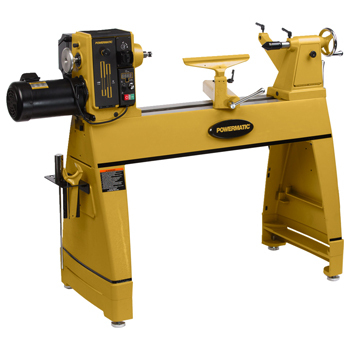 Ideal for pen turning and small projects, this Benchtop Wood Lathe with cast-iron construction and variable-speed spindle offers the precision and control that pen turners and miniature hobyists demand. 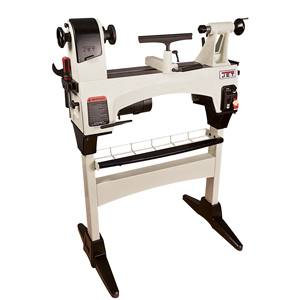 Includes safety paddle switch, MT#1 spur center, MT#1 live center, 4-1/4" and 7" tool rests, 53/4" faceplate, and 3/4" x 16 TPI RH spindle. Approximate shipping weight: 52 lbs.